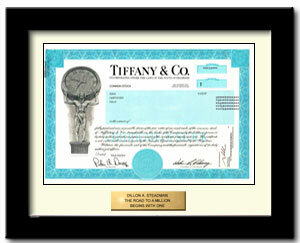 Tiffany engages in the design, manufacture, and retail of fine jewelry at a range of prices. In addition to jewelry, Tiffany & Co. sells timepieces, sterling silverware, china, crystal and other accessories. Diamonds and gold? No wonder women love Tiffany stock. For bridesmaids, anniversaries, and Valentines Day.